A wonderful place to escape and reconnect with nature, to discover more about local coal mining heritage and contemporary craft, and to explore an abundance of things to do in magical woodland surroundings. 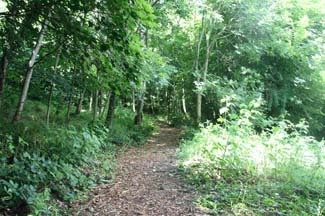 This wonderful 80 acre discovery park & visitor centre, located at Castlecomer Demesne and Estate Yard is a place to escape and reconnect with nature, to discover more about local coal mining heritage and contemporary craft, and to explore an abundance of things to do in magical woodland surroundings. The ‘Footprints in Coal’ Experience and coal mining museum comprises a 45 minute tour through Castlecomer’s past. One of Ireland’s and more specifically Kilkenny’s most intriguing exhibitions, it is an interactive multi-media display that takes the visitor on a journey through time. There are 6km of themed woodland forest walks centered on two rainbow trout angling lakes. Picnic tables are located in the parkland by the river’s edge close to the car park and children’s playground and there are also a number of more secluded picnic spots located along the woodland walks. Adult €7; Student/OAP €6; Children €5; Family €20.00 (2A+2C) (Exhibition Only). Additional charges for educational programmes. Park itself is free to visit.